This page lists our range of UNC taps including No4, No6, No8, No10,No12,1/4" and 5/16" including taper, second and bottom taps. Also listed below are tap wrenches suitable for use with these taps. 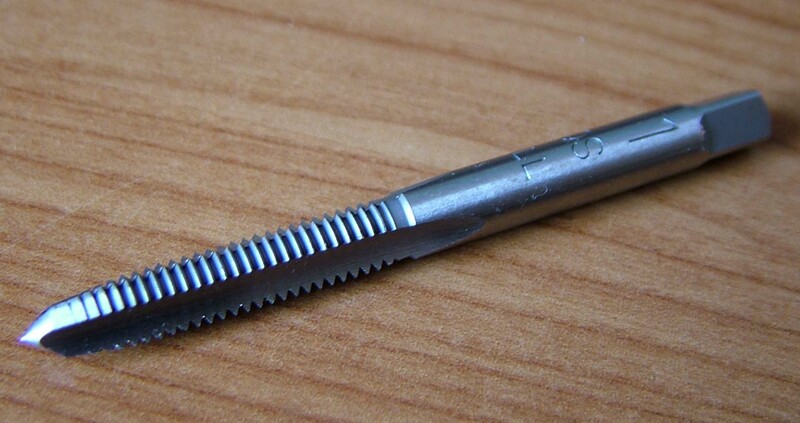 Other thread forms also available including Metric Coarse, Metric fine, other UNC sizes, UNF, BA, BSF, BSW, BSP, NPT, Model Engineer (ME) - please click on the thread name to go to the relevant page, or e mail us with your requirements. Please note that these are high quality professional standard taps that with correct care and use will give many years of service. Not to be confused with the cheaper and inferior 'market stall' quality tools that are available from some sources and are good for a couple of holes and completely useless when used with certain materials. All our taps and dies are manufactured from HSS (High Speed Steel) or HQS (a manufacturers brand name for HSS with improved toughness properties)We do not stock low grade carbon steel taps and dies. These taps are suitable for working with a large range of hard and soft ferrous and non-ferrous metals including stainless steel. If you have any queries regarding the type of tap you need for a particular job, please do not hesitate to send your questions by e mail to us and we will do our very best to assist. For information on thread data, please click here (opens in a new browser window - please close when finished, to return to this page). Traditional Bar Style Tap Wrench (110mm long) suitable for taps from M2 to M6, No4 to 1/4" UNC/UNF, and 8BA to 2BA. Traditional Bar Style Tap Wrench (155mm long) suitable for taps from M2 to M12, No4 to 1/2" UNC/UNF, and 8BA to 0BA.